Please note that the content of this book primarily consists of articles available from Wikipedia or other free sources online. 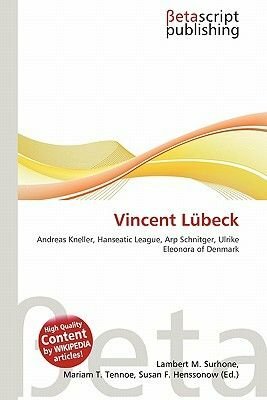 Vincent L beck (c. September 1654 - 9 February 1740) was a German composer and organist. He was born in Padingb ttel and worked as organist and composer at Stade's St. Cosmae et Damiani (1675-1702) and Hamburg's famous St. Nikolai (1702-1740), where he played one of the largest contemporary organs. He enjoyed a remarkably high reputation in his lifetime, and had numerous pupils, among which were two of his sons.